If you can name an Italian film from the 1960s Golden Era, then it’s likely Marcello Mastroianni was in it. When Italian cinema was at its very best, Mastroianni starred in such classics as La Dolce Vita and 8½. 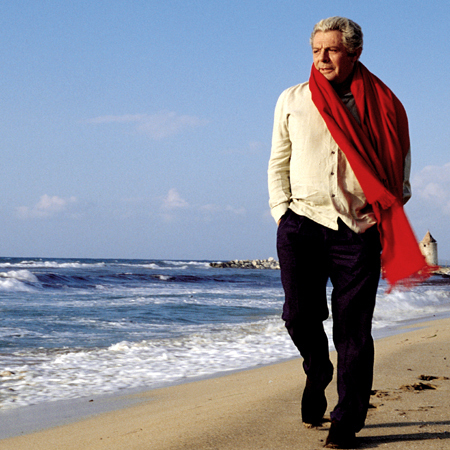 Fellini’s golden child, he oozes what we’ve come to expect from stylish Italians. He’s possibly Italy’s most successful film export with BAFTAs, Best Actor awards at the Cannes Film Festival and two Golden Globes. Not bad for someone who had success all through his career. Always dressed and groomed the Italian way, he gives attitude through his clothes. 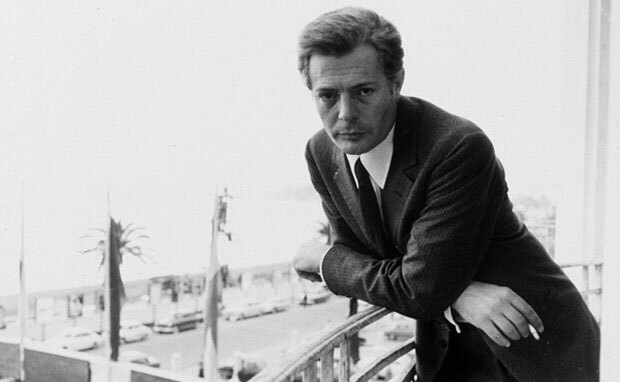 We’re reviewing some of his best looks over the years; from the beginning as Marcello Rubini or decades later as one of the most revered men in Italy. A keen eye for tailoring Mastroianni looks perfect in the classic Italian suit, Milanese style. Worn with a cigarette and an imposing stare, his shirt collar is long to offset his large tie knot. Timeless and still worn by Romans today, you can’t go wrong with this look. Casual linen shirt? Check. Comfortable trousers? Check. Suede loafers on sand and an oversized red scarf? Now you’re ready for your pensive seaside shot. Now here’s a look to replicate, Elvis Presley of the Adriatic Peninsula. 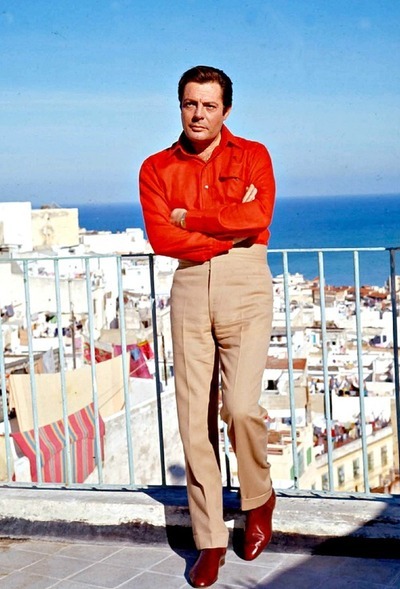 Mastroianni’s looking rather trendy in a red shirt, high-waisted tan trousers and oxblood leather boots. While today you mightn’t wear all three together, and instead as separates, it’s perfect for the cover of your Christmas album at the very least. Columbo, eat your heart out. Mastroianni’s at the scene and means business. The classic trench, the wave of hair and a subtle red necktie with a white shirt. This man’s on the case and you’re under arrest. ‘80s New Wave synths band member or Italian film star; Mastroianni is rocking a grey sports coat with knit and cravat. There’s no mucking about, this is serious. At home in his garden and off duty, Mastroianni’s got the look down pat. His cream trousers are a sporty addition to a sophisticated outfit. A sports jacket with a playful twist, the fabric has wonderful texture, complemented by a classic shirt and wide tie. Unbeatable. Marcello Mastroianni (left to right): After Five, classic dinner suit with narrow bow tie and wizened smile; After Work, navy blue business suit with buckled shoes; After Rodeo, white shirt, braces and small hat atop his head. Tie optional. Classic press circuit schmooze outfit: Black leather jacket, turtle neck and Sofia Loren.